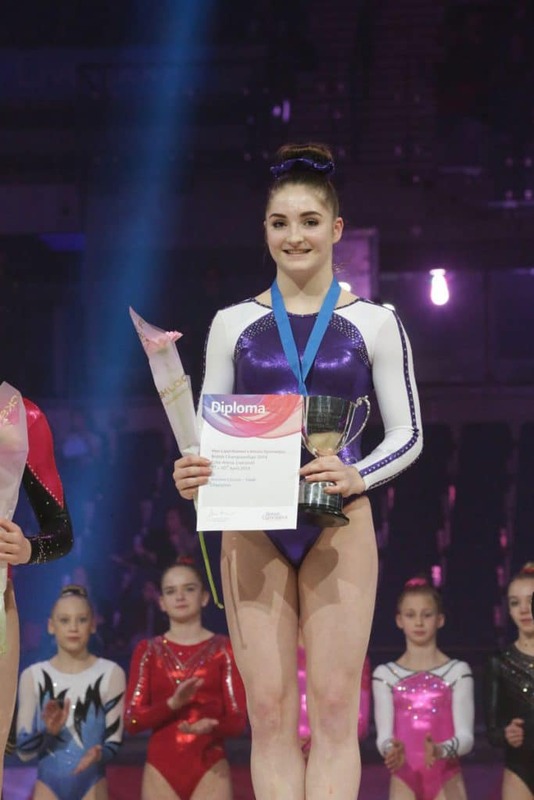 Tisserand Aromatherapy, the go-to brand for aromatherapy and wellbeing solutions, is proud to announce the support of 16-year-old gymnast and English Women’s Artistic Champion, Sophie Scott, as part of a new initiative to back grass root sports. Looking at Sophie’s list of achievements, you could be forgiven for thinking she is older than her 16 years. In this brief time, she has already shown such bravery and dedication to her sporting passion, and her years of hard work have started to pay off. Sophie’s love of gymnastics started at the age of 4 when she began attending Leatherhead and Dorking Gymnastics Club. She was a natural performer, competing in both gymnastics and trampolining at a high level. After becoming Under 13’s British Trampoline Champion in 2011 she decided to focus on gymnastics. Four years later she was competing for the Great Britain Junior Team at the Rushmoor Rosebowl where her team won Gold overall and she achieved 1st place in Vault and Bars. Having been selected for the GB Junior Squad in 2015 & 2016, Sophie secured a place in the GB Senior Squad for 2017. A fantastic achievement for the young gymnast. She competed in her first British Championships as a senior in March, showing promise amongst her peers and in early April scooped up her first senior title as English Women’s Artistic Champion. Under the careful guidance of Leatherhead & Dorking Gymnastics Club Alberto Cacace and Sadie Herbert, Sophie currently trains 5 days a week, striving towards selection for the Commonwealth Games in Australia next April, The European Championships in August 2018 in Glasgow and The World Championships. Not only a gifted gymnast, Sophie is also a straight-A student, who after completing her GCSE’s in 2017, hopes to go on to study Sciences and History at A-Level. After gymnastics, the talented teen hopes to pursue a career in sports sciences. With this much pressure, Sophie takes her health and wellbeing seriously and prefers to use natural alternatives to manage stress and nerves. With support and guidance from her sponsor, Tisserand Aromatherapy, she uses it’s essential oil blends and products to help keep her focused, energised and rested to remain at the top of her sport. Despite her achievements, she is still a regular teenager and between training enjoys meeting up with friends and following beauty and fashion trends.